The carbon came from the remnants of another wildfire that had raced 26 kilometres —from one end of the park to the other —in less than eight hours the year before. 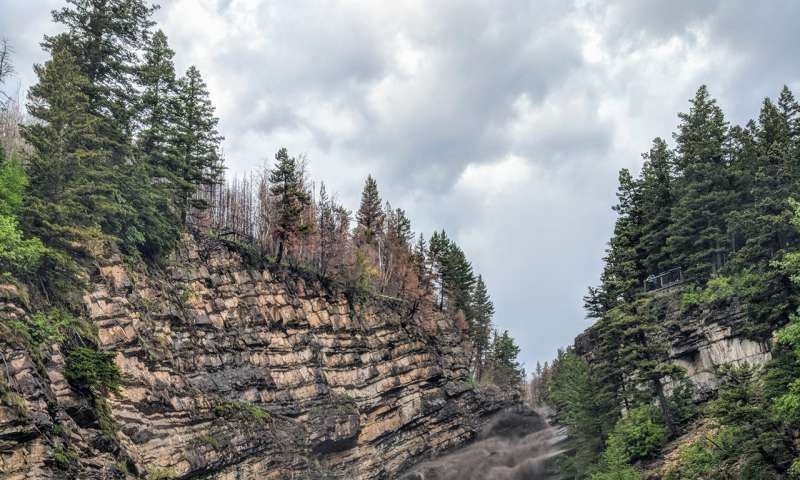 Heavy rain from a violent thunderstorm in July 2018 flushed the ash, soot and blackened debris that lay on the forest floor into the Cameron River. Waterton officials, concerned about the impact of the fire on drinking water and the river's aquatic species, brought in University of Alberta forest hydrologist Uldis Silins to monitor water quality in the park over the coming years. I was fortunate to spend some time in the field with Silins in Waterton and in the Castle Crown Wilderness, where the water quality has still not fully recovered from the 2003 Lost Creek fire in Alberta's Crowsnest Pass. What I learned from those trips and from several others that I recently made to fire-scarred watersheds in British Columbia, Alberta, California, Montana and elsewhere is that wildfire's impact on water quality is just as sobering as its impact on public safety, air quality and the forest industry. What we don't know —and what we're not prepared for —is frightening and underscores yet again the need for a multi-disciplinary national wildfire strategy that involves the federal government, the provinces and municipalities, universities, First Nations and the business community. That's what happened in Fort McMurray following the 2016 Horse River fire. The town has spent more than $2.5 million dredging its raw and untreated water storage reservoirs to decrease the risks associated with post-fire algal blooms that are more likely after severe wildfire. Groundwater may be keeping the surface water cool and clean in places where burned watersheds are now more exposed to the warming effects of the sun, such as in Lost Creek and, hopefully, in Waterton National Park. But we don't know how long this may last, because we have not adequately mapped out, evaluated and diligently protected our underground aquifers. Instead, we're selling groundwater at rock bottom prices to companies like Nestle. Wildfire isn't all bad for watersheds. It can add food to nutrient-deprived rivers and lakes, and transport the sediments that salmon and trout need to build their nests. It's time to connect the dots. There are 25 major watersheds in Canada. We know little about their flow, the fish and aquatic life that dwell in them because there is, as the World Wildlife Fund recently pointed out in a comprehensive report, no centralized or systematic method in place to monitor them. What we do know about highly stressed rivers is that they are losing water too fast. The rivers in the South Saskatchewan watershed, for example, won't have enough water in them by 2030 to supply the needs for more than half of the communities in the region without significant conservation measures. We are increasingly seeing the threat of serious water shortages in many other parts of the country. Sometime soon, we're going to have another severe, cross-country drought like the one that started in 1999 and ended in 2004. I described the impacts in a report for the Munk School of Global Affairs and Public Policy. The 2001 and 2002 droughts dried up virtually every part of the country. Vancouver recorded its second-lowest amount of rainfall and snowfall since its earliest days of record-keeping in 1900, and Canada's west coast hit a 101-year low. Atlantic Canada had its third-driest summer ever. David Phillips, Canada's most famous climatologist, described the drought as "un-Canadian," because the weather that produced it was almost tropical. The Natural Sciences and Engineering Research Council (NSERC) recently recognized the challenges that lay ahead when it announced funding for the "forWater Network," which connects 24 researchers and nine universities across Canada to focus on technologies that will enhance water protections. What NSERC has not done thus far is make wildfire science a research priority.